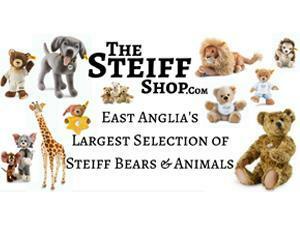 Located next door to Beers of Europe is the largest Steiff shop in East Anglia. We have over 500+ different teddy bears/animals available in store. Ranges from keyring to jumbo size, replicas & limited editions, so there is something for everyone. Also available are Brio, Ravensburger Jigsaws & the superb Baghera pedal or ride metal cars. Open every day including Bank Holidays. Open: Mon-Sat 9am-6pm, Sundays and Bank Holidays 10am-4pm.